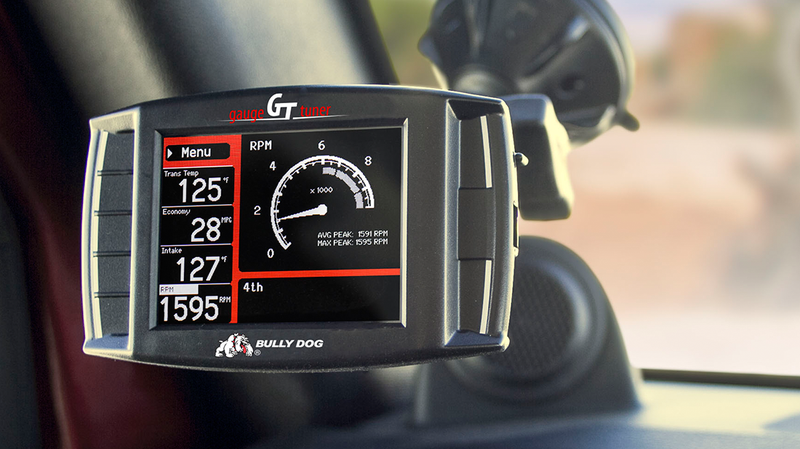 Derive Systems, parent company to popular aftermarket tuners Bully Dog and SCT, has been awarded a civil penalty of $300,000 for manufacturing and distributing over 363,000 products that violate the Clean Air Act. In addition to the penalty, Derive Systems will be forced to spend as much as $6.25 million in order to ensure compliance of all future and existing handheld tuners named in the lawsuit. The lawsuit, lodged by the DOJ and EPA, alleges that the handheld tuner company has been selling products that facilitate the removal of mandatory emissions equipment, including resetting the parameters of an oxygen sensor to allow for removal of a catalyst or diesel particulate filter, for example. The resulting penalty is an out-of-court settlement. The settlement further entails that Derive must limit access to certain key emission control parameters in their software tuners. All marketing efforts by Derive subsidiaries must be scrubbed of any information on subverting emissions controls. And most crucially, Derive must create a customer verification program to train customers about how their vehicle functions, how emission controls work, and what requirements the Clean Air Act entails. The $300,000 penalty was based upon the company’s inability to pay a larger amount. Nice. If you’re looking for dirty emissions performance, or want to roll coal, first I must request that you take a good look at yourself in the mirror and ask yourself why you’re so selfish. Second, you should probably call someone other than Bully Dog or SCT to get your sooty tailpipe fix. They’re officially out of the ring.